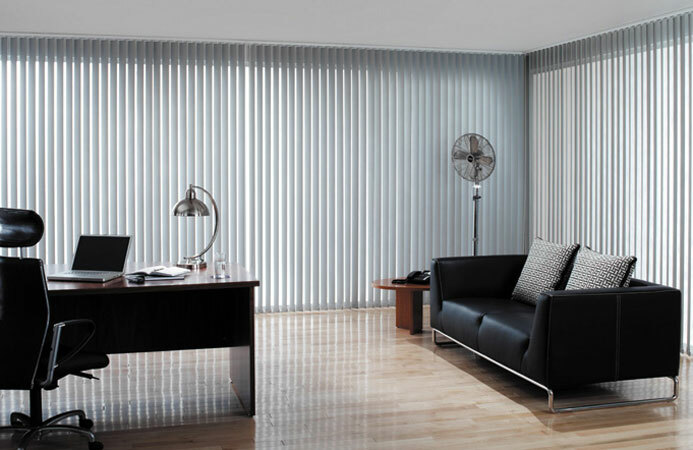 Vertical blinds are a particularly fantastic choice for patio and sliding glass doors, and wide floor to ceiling windows. 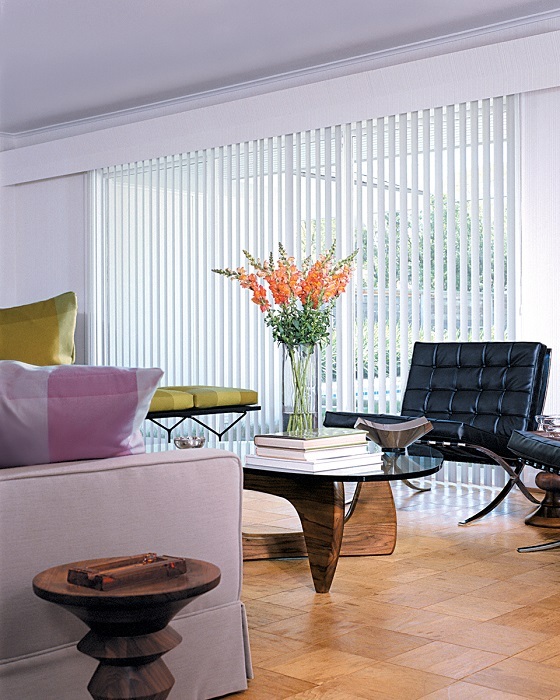 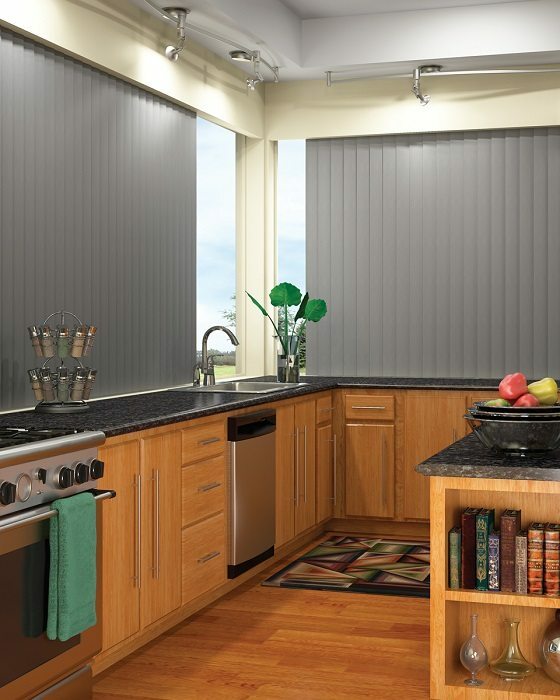 Shades By Design’s vertical blinds are made of durable, lightweight materials, such as fabric, aluminum and wood. 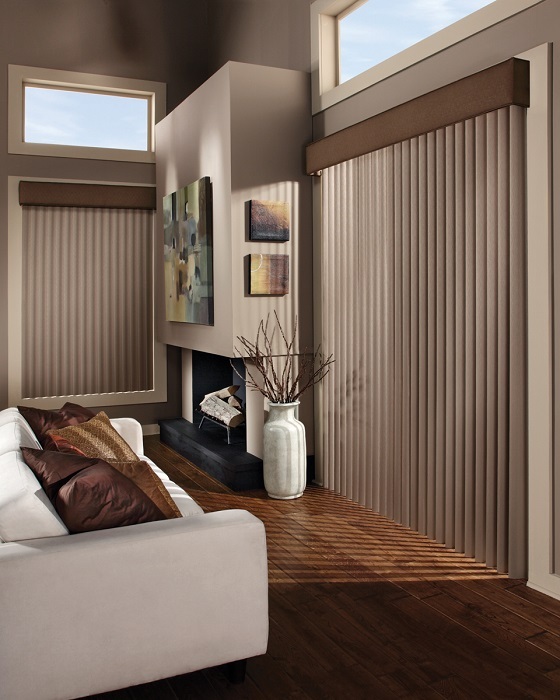 The slats are tilted to open and close, which allows for premium light management and privacy control. 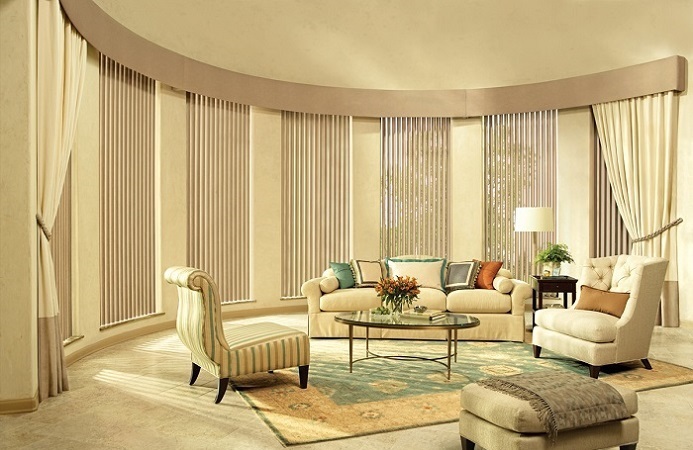 Stack them to the left or right, or part them in the middle for a full outside view, or keep them closed to block harsh sun rays and to lower your energy cost. 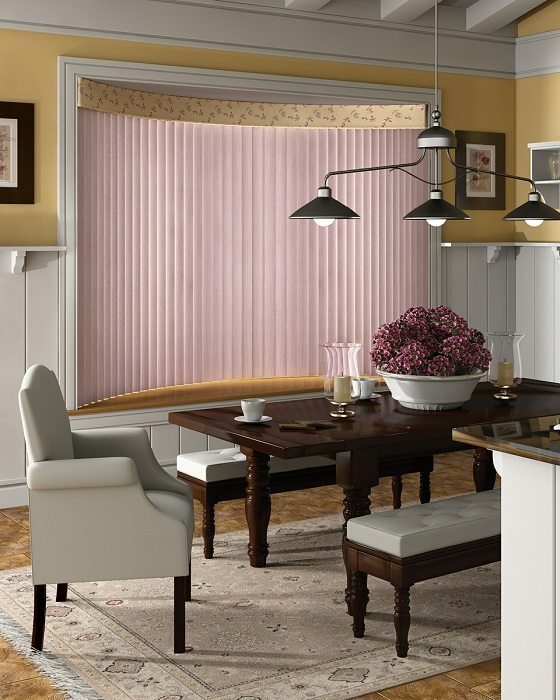 Refine the look of your window shutters with a wood cornice or a custom valance to add depth and beauty to your room.